Before the reader is an interesting, easily readable and, most of all, educational book which grabs the attention of a modern man through its approachable way of relating the basics of the Orthodox Faith whose witness lies in the millennia of experience of Christ's Church. Created as an answer to the challenges which a contemporary parish priest faces, with the purpose of explaining and bringing closer the salvific importance of the church life, both to those who live it and to those about to step into it, the book is based on the life's experience of the author who has been a servant at the altar and God's people in Indianapolis, Indiana, for almost two decades. Even though the reader faces the exposition of the profound mysteries of the Orthodox Theological tradition, they are easily comprehended because they are not written in a certain austere form without the much-needed explanations, nor are they exhibited like museum pieces to be mutely observed from a distance without experiencing a deep connection with them. On the contrary, the writer strives to present these salvific mysteries through the prism of many examples in which the mysteries are put into practice and in which an Orthodox Christian lives through them on the course of his own spiritual growth and life in the Church. The book abounds with useful advice for every stage of life and the temptations which one faces. The writer, referring to each of the stages, starting with conception, shows why the Church is the healer and why life in her assumes a new meaning and purpose which are portrayed in the examples and advice featured in the book. Pointing out this aspect of the church life, and through a style of writing in which one undoubtedly feels the pastoral live, the author unnoticeably but steadily strengthens our faith, delivers hope that repentance is possible at any stage of our life, while self-awareness and a personal experience of that transformation turns a dumb despair into a quiet joy in which one gradually grows on the path to salvation. Today people don't have time to read. This is why we have made an effort to write a booklet that one could finish reading during lunch. It's brief, but it covers every point of life and most essential things we need to know. 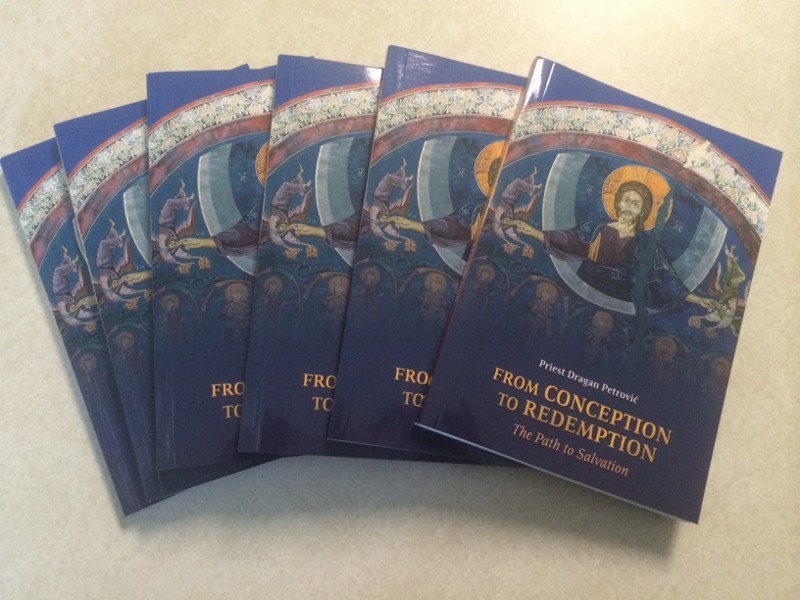 If you would like to have this booklet, please mail in a note with your request and $5.00 for the booklet + $3.00 for shipping and handling to: Saint Nicholas Serbian Orthodox Church 7855 Marsh Rd., Indianapolis, IN 46278. ***Make check out to the aforementioned church. Thank you.